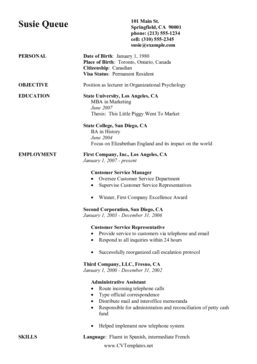 This free, printable CV template is simple but thorough. It covers personal information, objectives, work history, education and skills for any job in any career field. It is formatted for A4 paper.